This expression comes to mind after watching President Barrack Obama the last seven years. I’m not a saloon poker player, but I do know that when you bluff it’s important not to tell the other players. Obama bluffed. He told the Republicans he was bluffing. He asked them not to call his bluff. They called it. And Obama folded. Huh. In the field of negotiating with the opposing political party, it was Obama’s first rodeo. In his first two years, Obama submitted proposed budgets to Congress. Unsurprisingly, his budgets got zero votes from the Republicans. More surprisingly, they also got zero votes from the Dems, who controlled Congress at the time. In the field of negotiating not just with the opposing political party but also with his own, it was Obama’s first rodeo. He did get votes from his own party for “Obamacare.” That legislation was very controversial, so he should have known that the words had to be exactly right. Instead, they were sloppy. In one case that went to the Supreme Court, the White House was left contending that their language was an epic typo. As an inconsequential junior senator, you see, Obama had never even written a traffic ordinance. In fact, as a state senator in Illinois, he’d voted “present” on 129 occasions. In the field of legislation, Obamacare was his first rodeo. Speaking of Obamacare, Obama’s team had years to prepare the website for people to enroll. But do you remember what happened when the website went live? It immediately went dead. Even after critics predicted the website would fail, Obama didn’t bother to make sure that it wouldn’t. In the field of management, it was Obama’s first rodeo. Overseas, he exhibits the same uncanny knack for turning whatever he touches into rodeo waste. For example, he bragged about obtaining the release of one U.S. soldier in exchange for four terrorists being held by the military. OK, maybe one American patriot is worth four terrorists. Except that the soldier wasn’t actually an American patriot. He had been captured because he had deserted. Now that he’s back, the army is initiating a court martial. He will go from being imprisoned by the enemy despite his desertion, to being imprisoned by the U.S. Army because of it. Meanwhile, the freed terrorists are doing what terrorists do: They’re terrorizing. In the field of dealing with terrorists, it was Obama’s first rodeo. In fact, the Iranians foamed “Death to Israel” and “Death to America” on the day the deal was announced. Our teleprompter-reading tenderfoot says America has to trust the promise of these serial liars not to annihilate us, while distrusting their simultaneous threat to do precisely that. The reason, he says, is that after six years of dithering it’s too late for him to get a better deal. He blusters that he has stampeded “99% of the world” into supporting his murky, bad and belated deal with these psychopaths. But polls show that most of the American people (remember them?) do not. The opponents include several leading Dems. In retaliation, Obama implied that they are traitors. As for the Dem opponents who are Jewish, he all but accused them – Americans citizens who are members of his own political party — of being part of a worldwide Jewish cabal. I wonder if he thinks the Saudis, Jordanians and Egyptians who oppose the deal are part of that same Jewish cabal. It was Obama’s first nuclear rodeo. He showed up late, embraced his enemies, smeared his friends, fell off his horse and got stomped on to boot. Like a rodeo clown, he then declared himself the winner. 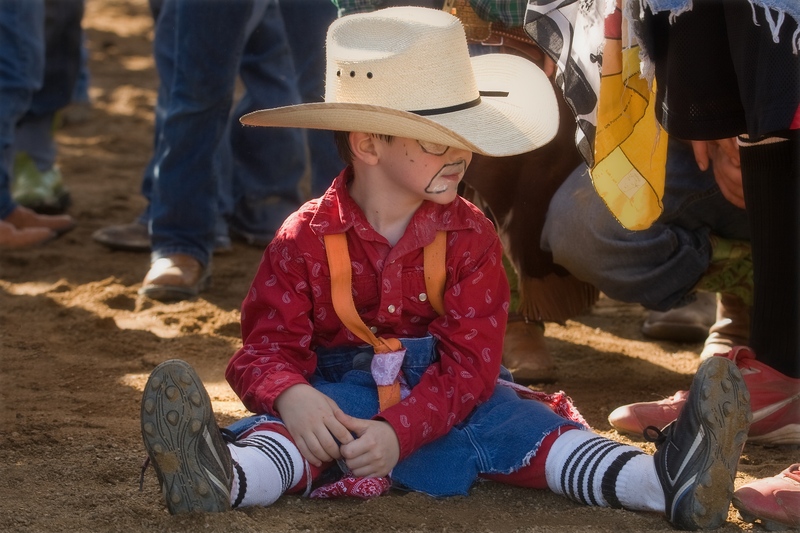 At the rodeo, clowns are funny. In the Oval Office, not so much. Liberals like to claim without evidence that Obama is the “smartest president ever,” apparently because that unsupported condescension makes them feel good about themselves. Or maybe they’ve seen his college transcripts and admission scores that have been kept secret from the rest of us. But even those liberals can’t bring themselves to claim that he is good at negotiating, managing, legislating, leading, handling terrorists, helping friends or standing up to enemies. I agree Glenn and you are probably right. Hillary is the only candidate who has been there in the White House before, and for 8 years, so she might be the best choice. But I don’t really know what she stands for yet, and that to me is the most important reason to vote for someone. I wouldn’t want another “cowboy” in there like team Bush/Cheney that’s for sure. Or a Hollywood cowboy like Reagan either. I’m also not sure if experience is the most important trait if it means knowing how to maintain the status quo. Will Hillary be in the pockets of her financiers? Will she support all of the systems that have brought us to a place where President and congress can’t move a lot of meaningful legislation forward together, where government actions are out of touch with the needs of the people? I want a leader who knows how to think outside of the box and that can offer real solutions. That may take someone with creativity and a different perspective. Someone willing to break from the past, not go backwards to policies that have created the problems of our society. Can you think of any candidate running like that? One that does not embrace PAC’s and undemocratic election laws, one that is willing to attack the wealth inequality problem and revive the American dream, one that has a detailed plan to strengthen the middle class and take on the all-powerful billionaire class? Feel the Bern 2016. Good thoughts, Howie. I don’t like Bernie’s socialism, but I do agree that he’s authentic (though his recent pandering to Black Lives Matter is disappointing, but perhaps a Dem has to do that). On the right, I think Scott Walker is pretty authentic too. And Kasich and Fiorina are interesting.